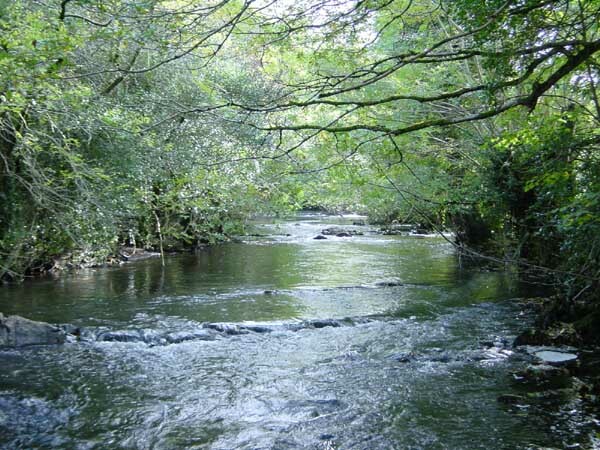 The Devil's Stone Inn was once a famous fishing pub and we are now once again able to offer fly fishing on several miles of private beats of the middle and upper Torridge and its tributary the Okement. Some of these beats are owned by the pub and are exclusive to guests. The fishing is wild in nature and we do not stock fish. Salmon, Sea Trout and Brown Trout can all be caught throughout the year. Brown Trout and Sea Trout can be caught at day and in the evening in most heights of water but the Salmon fishing is best after a spate. Chest waders are useful on most beats and a ten foot rod will cover most of out water, although a longer rod can be useful for roll casting in wooded areas. Favoured flies are Silver Stoats, Ally's Shrimps and Yellow and Blacks in various sizes from large tubes down to size twelves, according to water height. Trout respond well to coachmaen, Nymphs, Mayflies and CDCs. Butchers and Medicines are well proven night fishing for Sea Trout.